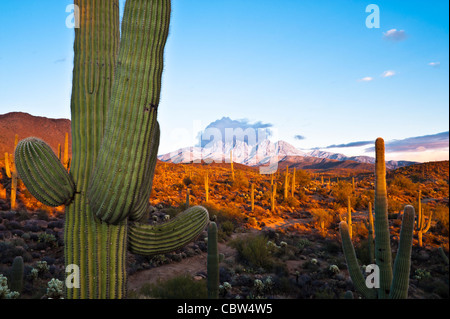 Vier Gipfel (Yavapai: Wikopa, 7657 Füßen (2335 m) in der Höhe, ist ein Wahrzeichen am östlichen Horizont von Phoenix. 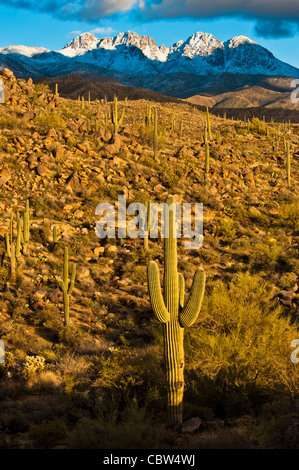 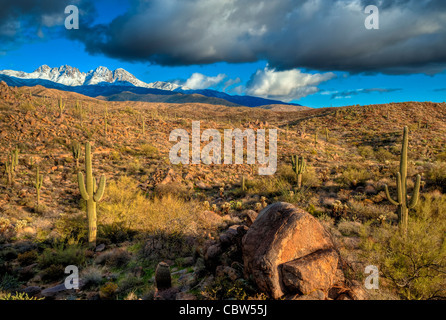 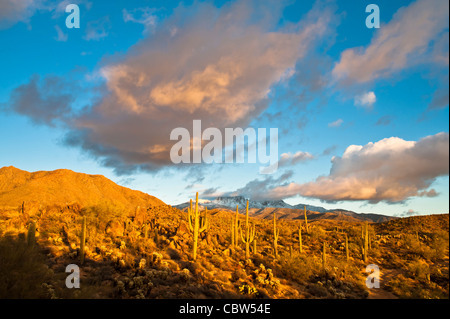 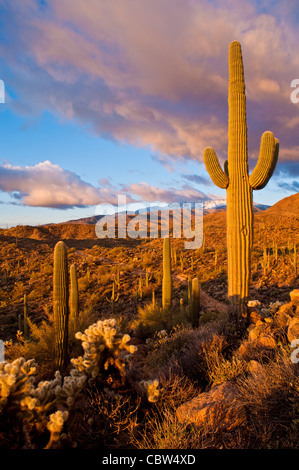 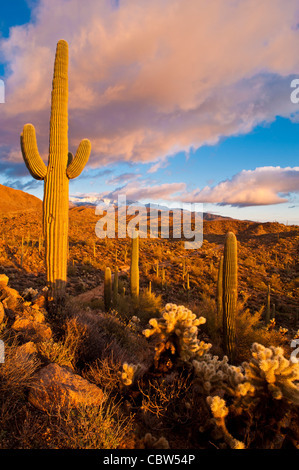 Four Peaks (Yavapai: Wikopa, at 7657 feet (2335 m) in altitude, is a prominent landmark on the eastern skyline of Phoenix, part of the Mazatzal Mountains. 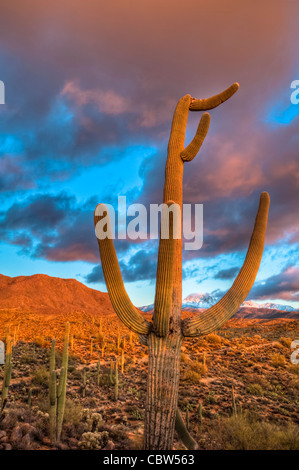 It is located in the Tonto National Forest 40 miles (64 km) east-northeast of Phoenix, in the 60,740-acre (245.8 km2) Four Peaks Wilderness. 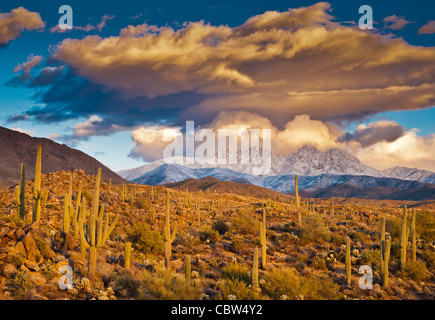 On rare occasions, Four Peaks offers much of the Phoenix metro area a view of snow covered peaks, and is the highest point in Maricopa County. 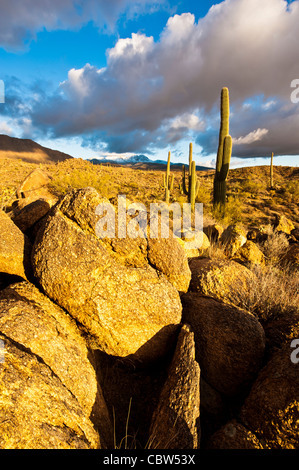 View of Desert and Four Peaks The name Four Peaks is a reference to the four distinct peaks of a north-south ridge forming the mountain's summit. 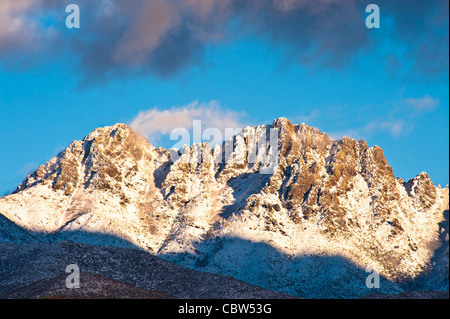 The northernmost peak is named Brown's Peak and is the tallest of the four at 7,657 feet (2,334 m). 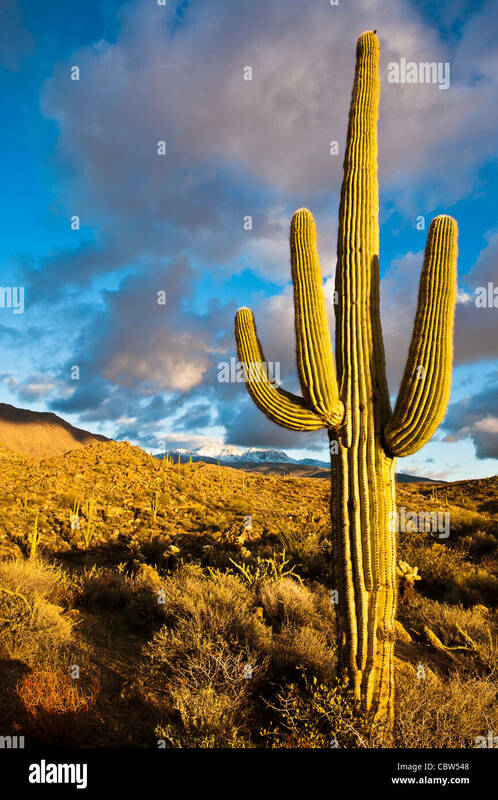 The remaining summits are unnamed, and from north to south are 7,642 feet (2,329 m), 7,575 feet (2,309 m) and 7,524 feet (2,293 m) in altitude. 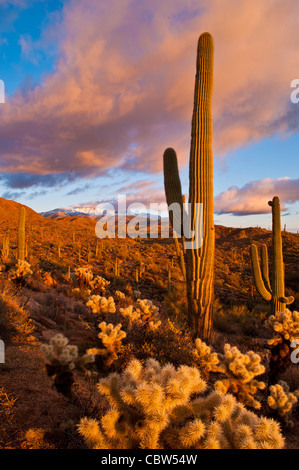 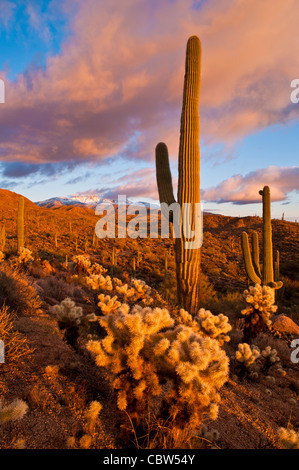 Ort: Tonto National Forest, AZ N.E of Phoenix.